Fenelon focuses on ten scriptural events from Mary’s life and explores the virtues Mary exhibited in each of those instances. We can all learn from Mary’s patience as she waited for Joseph to make a decision about their marriage, her trust as God’s handmaiden, her obedience in God in all things, her endurance as she gave birth in a stable, her courage, her hope, her faith, and her joy. 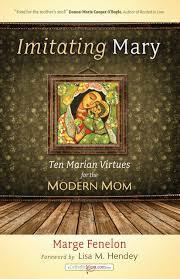 Each chapter of “Imitating Mary” features a relevant excerpt from scripture, Fenelon’s reflections, thoughts to ponder, and questions to consider. This book would be wonderful to use in a mom’s book group or Bible study. There is so much each of us can learn from Mary’s example. Why does God answer some prayers and not others? This is a question that plagues even adults. Sometimes, we pray so hard and think we know what God should do in our lives. And then, God does something else or He does nothing. What gives? For children, these questions can be even more acute. Without a lifetime of experience to rely on, God ignoring a prayer can be a faith-shaking incident. That is the premise behind "Dear God, I Don't Get It." Patti Maguire Armstrong tells the story of sixth-grader Aaron Ajax. His father just lost his job and he has to move from Montana to North Dakota as a result. He prayed and prayed that this would not happen, and God just didn't pay attention. He has to leave his friends behind and while his younger brother Luke is making new friends easily, Aaron seems to only be making enemies. Nothing is going well for him. He concocts a plan to be a "hero" in order to get some positive attention, but that blows up in his face as well. Yet, God can use even bad things for good, and by the end of the story, everything has worked out, and Aaron decides that God knows what He is doing after all. 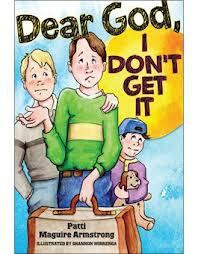 Armstrong writes with a good sense of humor that will appeal to the 8 - 12 age group that this book is targeted toward. It is a story with an important lesson on prayer for children, and the adults who care for them (and who might read this book with them). For those interested in delving into the story on a deeper level, there are discussion questions in the back. This is the first in a new series with the second book coming out next Spring. 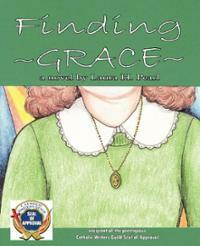 “Finding Grace” by Laura H. Pearl is a Catholic coming-of-age novel set in the 1970s. Grace Kelly shares a name with the famous princess, but little else. She’s a plain, awkward girl entering her teen years, struggling to find her place in the world as she grows up in Plattsburgh, New York. She has devout Catholic parents, a house full of older brothers, and a best friend, Irene, who possesses all the beauty and grace she lacks. What Grace does possess is the desire to become a saint. At her father’s urging, she begins to read lives of the saints and tries to fashion her life after them. Admittedly, this isn’t always easy. She is starting high school and becomes the favorite target of Sister Immaculata, the much-feared Latin teacher. She also becomes friends with two young men – Jimmy Sullivan and Tom Buckley, one who she dreams of being with, and one who dreams of being with her. The novel follows Grace and her friends from 1972 – 1980, when she is studying to be a teacher in college. This was a turbulent decade when many of the world’s morals were changing. Grace struggles to keep her virtue and her resolve to be a saint. Her friends struggle with their choices as well. Pearl depicts the era well, especially the changes wrought by Roe v. Wade. Two characters in the novels become pregnant and make very different choices. Pearl explores what those choices meant to the character’s future lives. “Finding Grace” is a long book and not a quick read, but it is worth spending time with and following Grace as she grows into a beautiful young woman. Amazon Reviewers for The Catholic Baby Name Book wanted! My Amazon listing for The Catholic Baby Name Book could use some reviews (hopefully good ones!) If you would be willing to post a review there, please contact me at pfmacarthur@comcast.net. I don't have any hard copies yet, but I do have a .pdf of the book I can send you. It should only take a few minutes to look over and get a feel for the book. Even a couple lines singing its praises (if you find it worthy) would be so appreciated. Thank you in advance! Today's Shakespeare's birthday and in light of that and the new The Catholic Baby Name Book , I thought I'd see which of his character names had some Catholic connections. For those who wish to give their child a name with Catholic roots and a Shakespearean legacy, there are loads of options. I accessed a list of Shakespearean names from Baby Center and then cross-referenced them with The Catholic Baby Name Book . The Catholic Baby Name Book has Arrived!